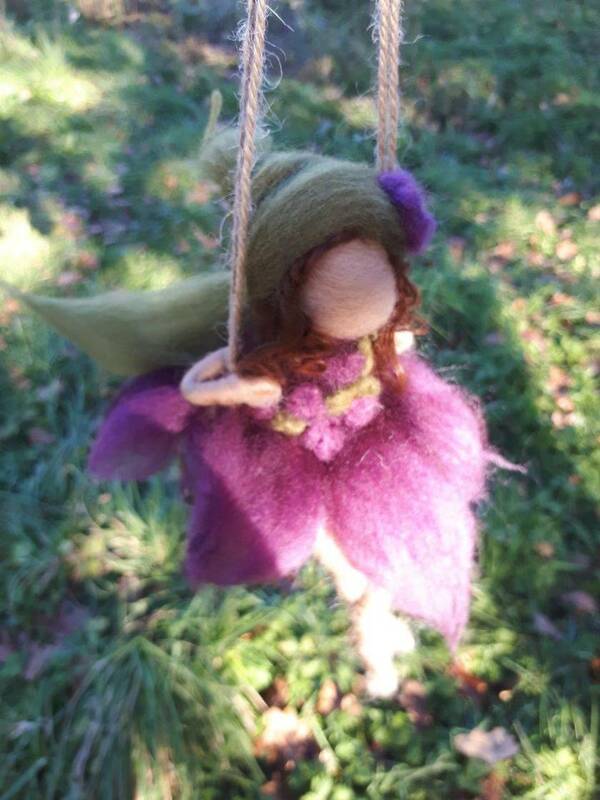 Her sweet curls frame her face..and atop her head is a wee pointed pixie hat..
She waits patiently for someone to give her a wee push on her swing, and then she will fly to the moooooooon! 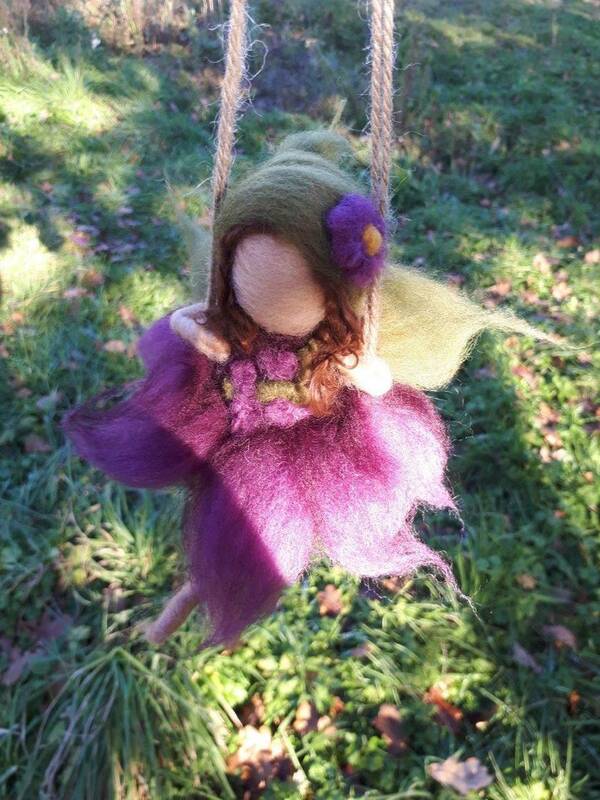 She is about 18cm while sitting and is custom made just for you by Alexa! 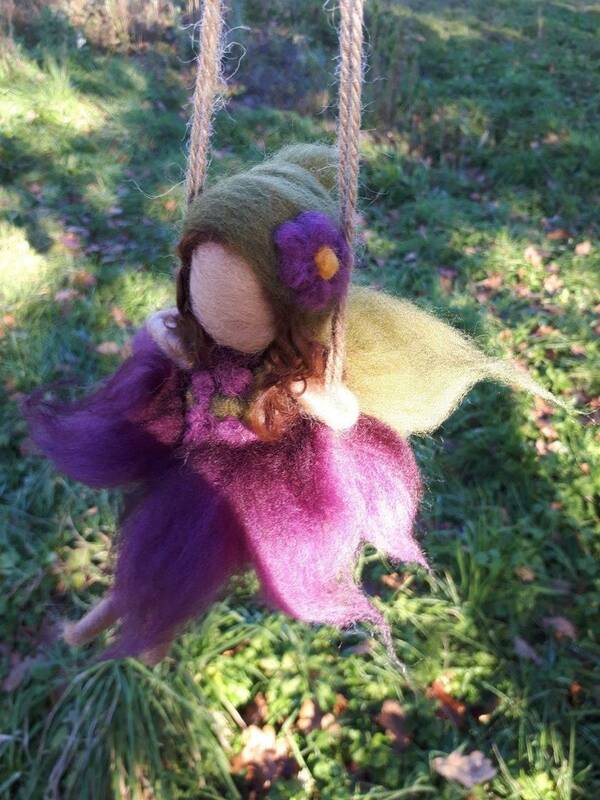 She is lovingly and joyously made with wool through a technique called Needlefelting..